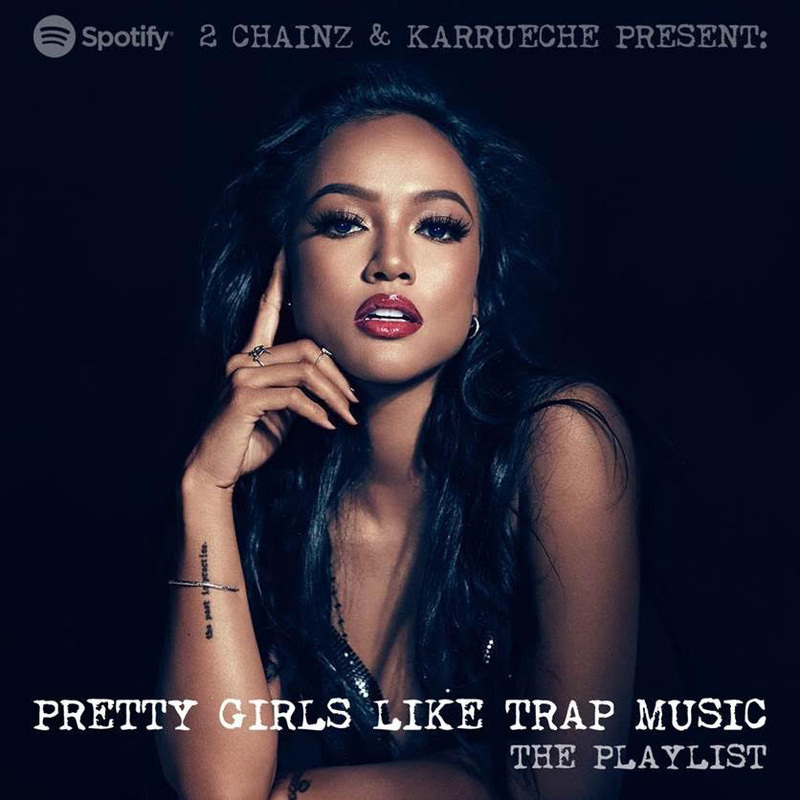 With the release of Pretty Girls Like Trap Music still a few months away, 2 Chainz is looking to prove his theory with a weekly Spotify playlist, curated by “pretty girls” within the industry. For the first installment, Chainz enlists Chris Brown’s ex Karrueche to supply 20 of her current favorites — which includes Jeezy and Bankroll Fresh’s “All There,” 2 Chainz, Gucci Mane and Quavo’s “Good Drank” (watch the new video), 21 Savage’s “No Heart,” Gucci and Travi$ Scott’s “Last Time,” and more. Check out the playlist below and be on the lookout for Pretty Girls Like Trap Music, arriving April 7th. Chainz is also featured on Migos’ CULTURE album, dropping tonight.